The NanoTest Vantage uses electromagnetic force application and capacitive depth measurement to measure the elastic and plastic properties of materials on the nano-scale. Figure 2 shows a 15 x 25 indent array (1 µm pitch) mapping the distribution of hardness and stiffness of intermetallic phases in a solder bond. Traditionally indentation was performed at one depth in the material. However, it is often of interest to investigate how hardness and modulus vary from the surface into depth in the sample. 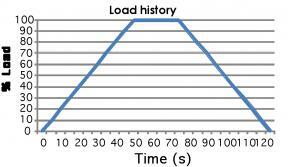 The ‘load/partial-unload’ technique included in the NanoTest software allows load cycling which allows hardness and modulus measurements to be made at different depths in the sample in just one indent cycle. Figure 3 shows the rapid profiling of elastic modulus as it varies with depth on a hard amorphous carbon film on a softer substrate. Figure 4 : The inflexion point (a) in the multi-cycle indentation marks the transition to substrate-dominated load support. A significant elbow is seen on the unloading curve (b) which relates to a phase transformation. 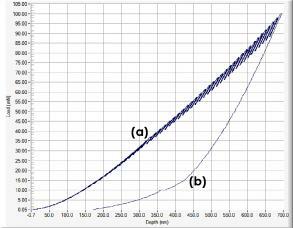 Figure 5 shows excellent agreement between fitted and experimental data for the creep of PMMA during a 700 s hold at 100 mN in the determination of the viscoelastic properties of polymers. The NanoTest Vantage offers excellent load & depth ranges, with a dynamic resolution system which optimises the load and depth resolutions according to the peak load/depth set. This ensures excellent resolution throughout the ranges. The low noise floor and high sensitivity enables accurate measurements of thin films for MEMS applications. Figure 6: 1 mN peak load indentations in sapphire show contact to be completely elastic. Raising the peak load to 2 mN shows elasto-plastic contact. Depth Sensing nanoindentation systems allow the application of a specified force or displacement history, such that force, P, and the displacement, h, are controlled and/or measured simultaneously and continuously over a complete loading cycle. 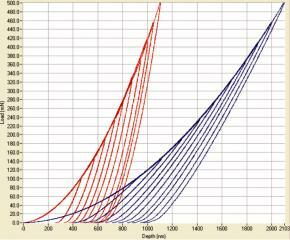 Shown is a typical nanoindentation curve, acquired on fused silica, a widely used reference sample in this field. 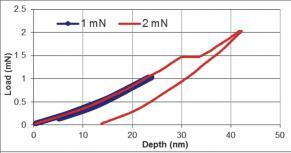 The extremely small force and displacement resolutions possible with the MML NanoTest, which are as low as 3 nN and 0.001 nm, respectively, are combined with very large ranges of applied forces (0 – 500 mN) and displacements (0-50 µm or more). 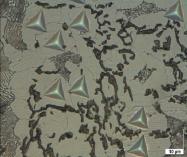 This allows the NanoTest to be used to characterize nearly all types of material systems. Figure 8: In this example, load will be applied at a constant rate until peak load is reached after 50 s. Force is then held constant for 25 s in order to look at creep, and then load is removed at a constant rate over 50 s.
Figure 9 is a typical nanoindentation curve, acquired on fused silica, a widely used reference sample in this field. In order to determine the indent area, a powerful microscope is needed, and valuable time-dependent information will be lost. 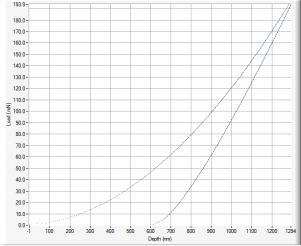 However, an alternative method may be used – depth sensing indentation.